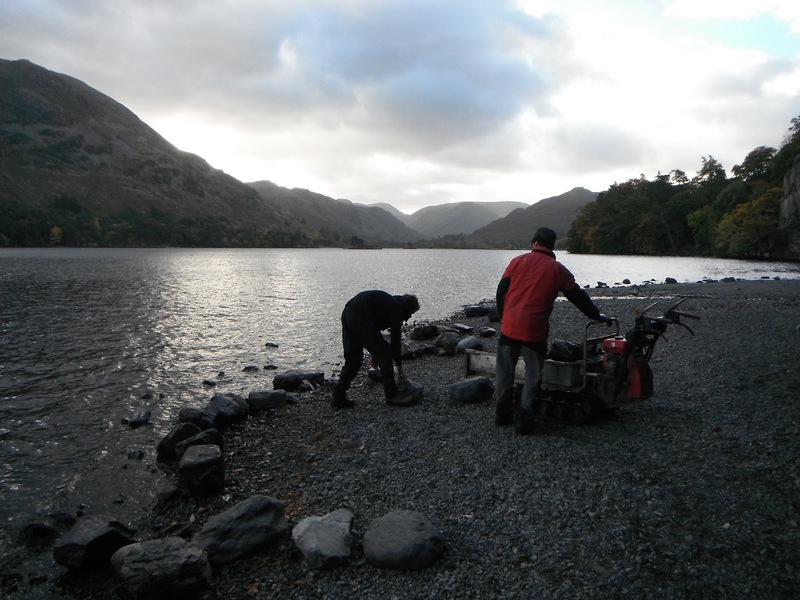 Our most recently completed job was over at Ullswater, where we repaired a couple of sections of revetment wall next to the lake. Both sections of wall required some very large rock as the lake can reach the walls during flooding events and using smaller stone would mean that the walls could easily be washed away. While the lake was low we collected rock from the shoreline. Much of this was stone from the walls we needed to repair that had either fallen down or been pulled down by visitors to be used as stepping stones or seats. After a few days work we soon had the walls back up and looking tidy. We shovelled gravel off the beach to fill behind the back of the wall and landscaped the top to help encourage people to walk around the wall rather than clamber over it. 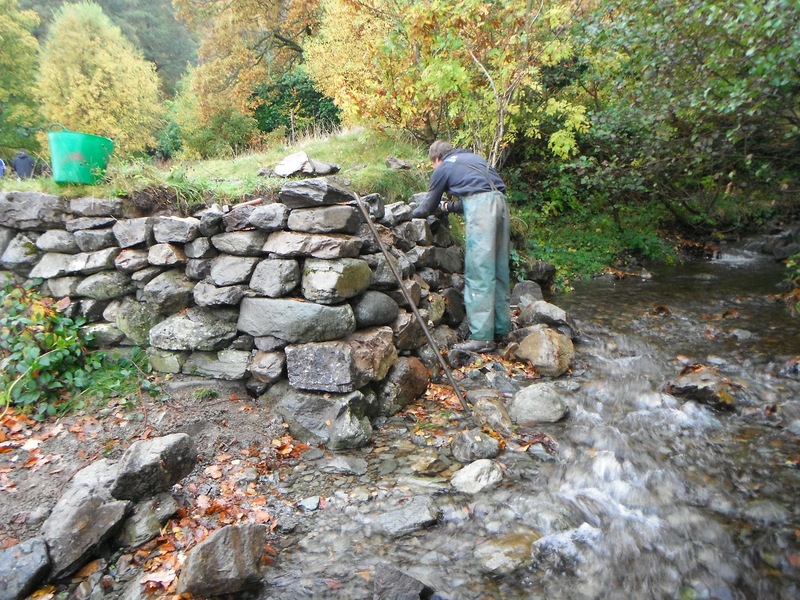 As was always likely to happen, a couple of weeks after we finished work the heavy rain came, so we went and checked to see how the walls had stood up to it. 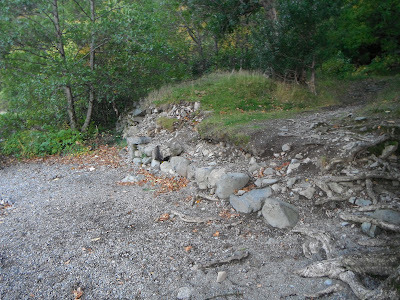 The corner section was fine but the lake had risen up and got behind the longer section of wall and washed out much of the gravel from behind it. 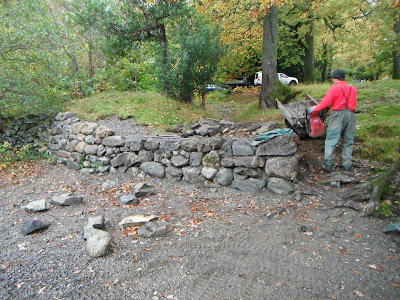 Pleasingly the wall itself was absolutely intact, so we collected some good-sized rock and filled in the gap behind the wall, which should offer the wall some more protection, then filled it in again with gravel. 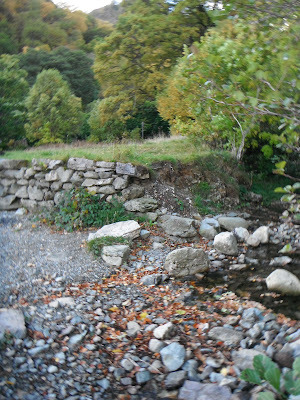 Hopefully this will be the last big flood of the year and there'll be some time for grass to grow behind the wall, which should provide it with extra protection.